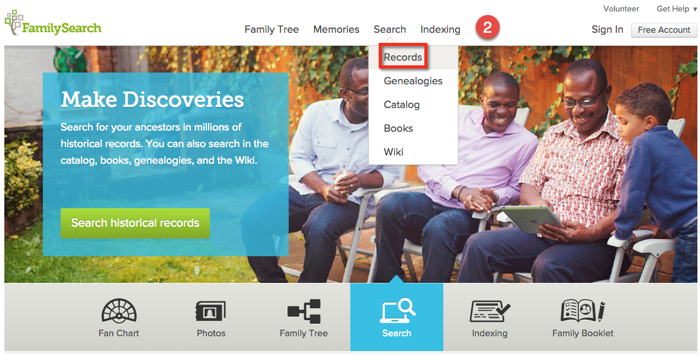 Last week I explained why you shouldn’t give up if you don’t find records pertaining to your Mexican ancestors when using the Search feature on FamilySearch. It is very likely that those particular records just have not yet been indexed and made searchable. This requires that you get your elbows dirty by rolling up your sleeves and digging in to the actual digitized collections-browsing image-by-image, page-by-page, like we still have to do when using microfilm. This post demonstrates how to quickly and directly find the digitized collections available online for your Mexican ancestors’ home state(s). 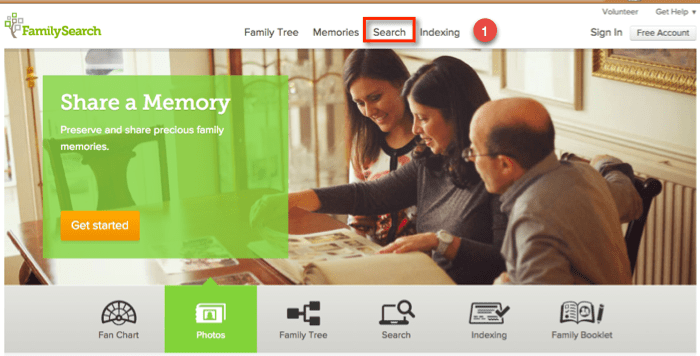 Step One: From the FamilySearch home page, or any web page on their site, click on the Search menu link at the top of the website. Step Two: From the Search menu, select the Records option. These two links actually go to the same exact page, so you can bypass this two-step process by hovering over the Search menu and simply clicking on the Records option. Step Three: Once on the main Search page, ignore the actual Search Historical Records feature on the left side of the page. 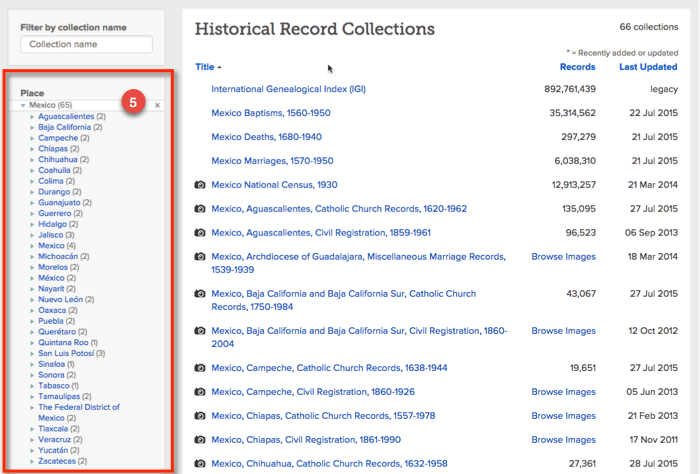 This is due to what I discussed in my last post…not all of the digitized Mexico records collections on FamilySearch are indexed and searchable. Instead, scroll to the bottom of the page, and click on the link to Browse All Published Collections. 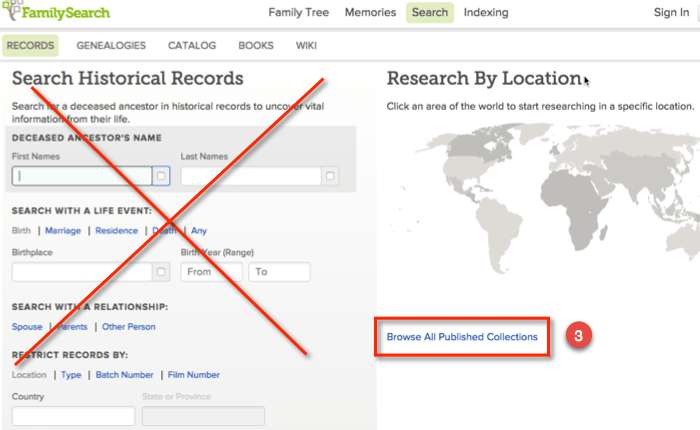 Step Four: That Browse All link will bring up a page that filters on a list of all available FamilySearch record collections. 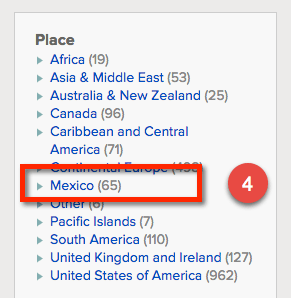 Look in the left sidebar for the Place menu, and select Mexico from that list of geographic collections. 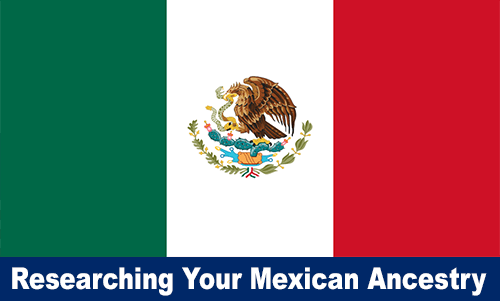 Step Five: This filters on all Mexico collections available on FamilySearch. Now choose a particular state, or the Federal District, from the Place menu in the left sidebar. Step Six: This example displays the digitized collections available for my ancestral state, the state of San Luis Potosí. You will see whichever state, or the federal district, you selected. From here, access the type of records that you want to browse. Upcoming blog posts will explain Mexico Catholic church records and civil registrations: their significance, typical information reported, how to find records for a specific locality, and how to navigate around within the record collections. I can’t recommend a particular source or expert, because that depends upon your particular research question. Have you signed up for my free monthly Hispanic Research & Heritage email newsletter? It’s noted at the bottom of the blog post in the gold box. I pull together a list of Hispanic-focused genealogy classes, workshops, conferences, etc., that can help you with your Californio ancestors.